JM: I am a singer, writer, musician, known as front man for bands like Watchtower, Dangerous Toys, Broken Teeth, Evil United, and Ignitor. I am a heavy metal hard rock enthusiast and teach music and the lore of rock to all who are interested in the art. JM: I fronted and co-founded the band Watchtower in the last year I did in high school, early 80s. 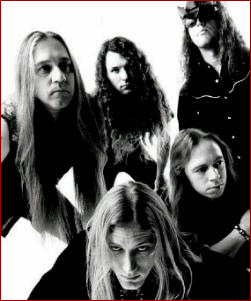 Watchtower was and is, known as a pioneer of progressive thrash or modern metal. Jazz, avante garde with stop start heavy metal riffing and spastic drumming and bass shredding, watchtower was way ahead of its time, influencing from death, to dream theater. My time in the band was about 8 years prior to my joining Dangerous Toys. In those 8 years, I cut my teeth as a singer/frontman and learned so much about music, timing, writing, and how to promote and somewhat manage a life in a band, and all that it takes to produce music. Of course, I still say I was green in my early days with Dangerous Toys, since that brought me into new studios, with seasoned producers and studio recordings were more and more of a learning experience. This was still mostly analog recording at the time. I recorded with the band on the debut 1985 released LP Energetic Disassembly. As well as produced and compiled the 2002 release of a collection of demos and live, as well as rare recordings of early and unreleased material called Demonstrations In Chaos, this as well as a reissue of Energetic Disassembly were released on Rockadrome Records. 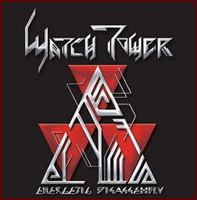 On the Demonstrations In Chaos release of rarities, there are 4 songs with my vocals, that appeared on the 1990 release of Watchtower – Control and Resistance,( in which I did not appear). The band had my Friend Alan Tecchio (Hades) on the mic. Mathematics is a record recorded and demoed over many times, that has been shelved as on late, until the band feels like it is ready for mass consumption. I do NOT appear on the mathematics record, Alan is on that as well. JM: Dangerous toys, gold records, self-titled, and Hellacious Acres Columbia/Sony between 89 and 92, 94 Pissed record and 95 record The Rtist 4merly known as Dtoys, released on independent labels. All great records. I saw the music industry work for me and against what it had created for me all in a matter of a few years. The independent labels or “garage” labels pay a lot more attention to your band and your record. So, it’s more hands on and concentrated. And then the completely do it yourself world, the band has more control over what is being done for the band. But, all of the above as far as managing and promoting your music can be good to know ins and outs of. The good and the bad of it all. I learned a lot. MW: Tell me about Broken Teeth? 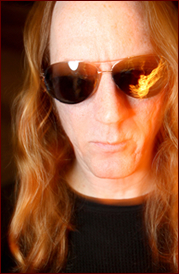 JM: Broken Teeth is a band formed by myself and Dirty Looks, Dangerous Toys guitarist, Paul Lidel. Started in 1999, and was an important movement in trying to write real rock n roll. Fast dirty and not worry about radio play and or fitting in. AC/DC and Motorhead are huge influences on the bands attitude and style. Other influences would be KISS, Rhino Bucket, and Judas Priest. A few lineup changes lost Paul Lidel to his very busy schedule with other projects in 2005, replaced by David Beeson, the band continues to tour and record. Self-titled – 1999, Guilty Pleasure – 2001, Blood On The Radio – 2004, Electric 2007, Viva La Rock Fantastico – 2009. The band is writing as we speak for a possible 2012 release of all new material. Just off shiprocked (a huge rock n roll cruise, three years in a row) with Buckcherry, Queensryche, Hinder, Hellyeah, Candlebox, Sevendust and more. MW: Tell me about GAHDZILLA MOTOR COMPANY? 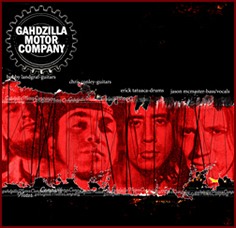 JM: Gahdzilla Motor Company was some of the best metal I’ve ever written. Co-written actually, with Chris Connelly from Detroit, and Bobby Rock Landgraf (Guitarist for Honky). Drummer Ben Burton, who is a childhood friend, was the original drummer, we replaced him in the middle of the whole thing, had two more drummers after that, we all got so busy with other things and we couldn’t survive it all. The drummer Schanges were like a bad spinal tap scene. That can be enough to change your mind about things. But, 17 songs written and recorded, are floating around on a hard drive in south Austin, Texas, a few can be heard at reverbnation.com/jasonmcmaster Iplayed bass and sang. A great heavy metal four piece with lots of song crafting and style from Sabbath to Slayer all in one song. Gahdzilla Motor Company lasted from 1998 to 2003. MW: Tell me about Sad Wings? JM: Sad Wings is a Judas Priest tribute that I play Rob Halford in. Halford is a huge inspiration to me, he almost single handedly, re-invented power vocals for the world. Maybe Ian Gillan had it going, but Halford brought it to a new level before most. Sad Wings focuses on the album Unleashed In The East as a sort of greatest hits set, and we sprinkle in more Hell Bent For Leather, British Steel and a few surprises, to round out the show. Full leather and whip in the show. MW: Tell me about Ignitor? JM: Ignitor has been around almost 7 years not. I replaced Erika, the band’s first singer, Erika is an incredible power metal/black metal vocalist, and a dear friend. She moved on to pursue other styles and do more with her own material. Respectfully I am featured on the Spider Queen concept record as well as the latest recording, The Year Of The Metal Tiger. Power metal leaning into a bit of thrash, but without losing the German metal influences throughout. (think Grave Digger and Accept, turning into the fastest Judas Priest song with King Diamond and Udo on vocals). MW: You just released your band Evil United Self-Titled release. 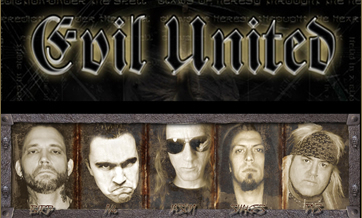 How did Evil United come together? Tell me about the recording of the debut release?